Ready to Help, Give Us a Call! 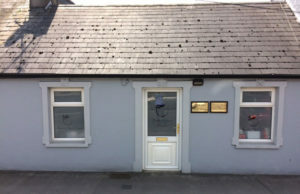 Send us an enquiry by simply entering your details as prompted in the form on this page, or email us directly at info@beecherstreetdental.ie and one of our team will respond to you. Pass through the first roundabout heading in the Limerick direction. You will pass the train station and then the fire station on your left. At the next roundabout, take the 3rd exit. Our Practice is 50m on the right hand side of the road. Take the first exit at the roundabout after the Topaz petrol station. Our practice is 50m on the right hand side of the road. There is ample Pay & Display parking outside our Practice. Don’t forget to pay and display if you are visiting us for an appointment!